It’s no secret that Jamaicans are big on sports. Whilst the country is famous for producing the fastest human beings on earth, 5k road races are all the rage with thousands of Jamaicans. In the last few years , thanks to Running Events Ltd and and Corporate Jamaica, road races have become increasingly popular . There is at least one per month and sometimes even two in one weekend. Majority of the races are five kilometers in distance, however there are a few 10ks and marathons in the mix. Participants have the option to run or walk. There are also wheelchair races giving disabled Jamaicans the opportunity to compete, win prizes and get in on the excitement. Besides the obvious reason of improving your fitness level and staying healthy, here are three reasons to participate. Proceeds from most of the events support charities or organizations dedicated to improving the lives of Jamaicans.The causes range from fighting heart disease, improving schools to providing well needed equipment for medical facilities. You can rest assured that your small contribution via entry fees is making a huge impact. This year Sigma Run , one of the largest road races in the caribbean is aiming to raise J$60 million (US$480,000). The run tends to be largely supported by corporate Jamaica , who make donations in addition to sponsoring teams. Individuals can also make donations. This year’s proceeds will be in aid of life saving equipments for the paediatric units of Mandeville and Spanish Town Hospitals. The Bethlehem Home for abandoned and disabled children will also be a benefactor from the race scheduled for February 19. From parents running with toddlers in tow to couples walking and talking , road races are definitely a family affair. They are the ultimate family bonding experience. Having your loved ones there to encourage you every step of the way is the ultimate family bonding experience. It is also a great way for parents to instill a spirit of charity within their young ones and encourage them to be active. It can be super difficult for visitors to the island to interact with locals and get a sense of the “real Jamaica”. It can be intimidating to walk the streets , mainly because of minimal sidewalks, lack of proper signs to help you get familiar with your surroundings. 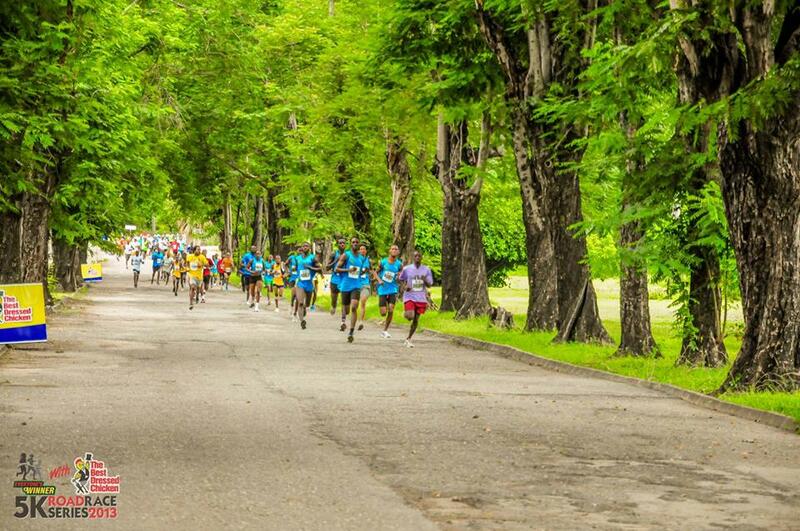 Although a far cry from a leisurely sightseeing tour, road races can be a good way to familiarize yourself with Jamaica. One race that has become popular over the years is the Reggae Marathon, held each December in Negril. The race is internationally certified and is supported by hundreds of tourists and locals. It’s perfect for travelers who enjoy non-touristic experiences as well as jogging along scenic routes. Similar to the Reggae Marathon is the Kingston City Run. The event is sponsored by the Jamaica Tourist Board in a bid to welcome travelers to visit and explore the capital city. Proceeds will be in aid of supporting the city’s homeless community. The run will be on March 12 and is followed by the Mobay City Run on May 7. For registration details and more information on how you can participate visit Runningeventsja.com .